All Texas State Board of Education (SBOE) seats are up for election this year, but so far there’s not a lot of money flowing into those campaigns. Nearly all SBOE candidates have now filed their July 1, 2011-December 31, 2011, campaign finance reports with the Texas Ethics Commission. Geraldine “Tincy” Miller, R-Dallas, is again self-funding her campaign, this time in an effort to retake the District 12 seat she lost to George Clayton, R-Richardson, in 2010. So far Miller has spent about $40,000 of her own money. Former SBOE member Don McLeroy, R-College Station, is spreading around a little cash (some left over from his losing race against Thomas Ratliff, R-Mount Pleasant, in 2010) among far-right board incumbents Charlie Garza, R-El Paso, of District 1 ($500), Ken Mercer, R-San Antonio, of District 5 ($500), and Gail Lowe, R-Lampasas, of District 14 ($1,801.60). He has also contributed $500 to Randy Stevenson, R-Tyler, who is trying to unseat Ratliff in District 9 and return to the board he left after 1998. Neal Frey, head of the far-right censorship outfit Educational Research Analysts (founded by the late Mel and Norma Gabler of Longview in East Texas), has given $1,000 to Garza, $500 to Mercer, $1,000 to Stevenson, $500 to current board chair Barbara Cargill, R-The Woodlands (District 6), and $500 to Terri Leo, R-Spring, before the she decided not to run for re-election last fall. District 6: Donna Bahorich, R-Houston ($325 in contributions plus a $50,000 loan from herself to her campaign); no Republican challenger. None of the three Democrats (Tracy Jensen, Patty Quintana-Nisson and David Scott, all of Houston) has raised more than $1,600 yet. District 8: Barbara Cargill, R-The Woodlands ($38,586.84 in contributions, $18,710.93 in expenditures, $25,626.25 in cash on hand) has raised a healthy chunk of change, but she also spent more than $12,000 (at least) on a fundraising event at a fancy country club in The Woodlands. Her Republican opponent, Linda Ellis of The Woodlands, has spent $7,019.40 so far. District 9: Incumbent Thomas Ratliff, R-Mount Pleasant, has raised $17,413.15 in his race against challenger Randy Stevenson, R-Tyler, who has raised $5,225, including $1,100 from his own pocket. District 12: Incumbent George Clayton, R-Richardson, ($3,921.42 in expenditures) is trying to fend off challenges from three other Republicans: “Tincy” Miller ($41,015.65 in expenditures, mostly her own money); Pam Little, R-Fairview ($8,324 in expenditures and loans from herself of $21,500); and Gail Spulock, R-Richardson (no report posted yet). 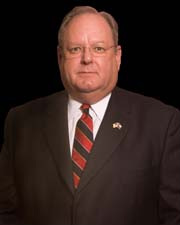 District 15: Incumbent Bob Craig, R-Lubbock, is not seeking election. Marty Rowley, R-Amarillo ($5,614.59 in expenditures and $10,000 in loans, combined, from himself and his wife) is running against Anette Carlisle, R-Amarillio, ($23,998.19 in expenditures) in the Republican primary. Steven Schafersman, D-Midland, is the only Democrat running. Check our SBOE Election Watch page here for a list of candidates and other info. Judson Independent School District trustee Steve Salyer, R-Universal City, on Sept. 6 announced on his website — votesalyer.com — his intention to run for the SBOE out of District 5. 1. Produce a plan to develop a technologically educated work force for Texas and a global marketplace. 2. Incorporate technology in our learning process. 3. Ensure that all actions of the State Board of Education are 100% transparent. 4. Respect others and work toward the common good of our children, while not making personal judgments about other opinions and beliefs. The school children in Texas are the best hope for this great state and we have a primary responsibility to provide a quality education and prepare our young people with the opportunity for their future. My name is Steve Salyer and I am proud to announce my candidacy as a Republican for the Texas State Board of Education District # 5 today. I deeply care about the direction our state’s educational system is heading. I understand firsthand the current challenges facing our public school system. I am a Trustee of the Judson ISD in northeast Bexar County. Being on the Judson School Board and having had two children graduate our public school system, I understand both the good things our public school system does and those things that need to be fixed. I have worked hard while on the Judson School Board to increase reading, science and math scores. Even with the worst budget cuts in the history of education funding, I have ensured that teachers stayed in the classroom.